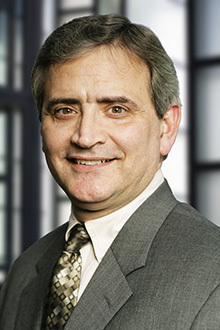 Stephen Liberatore is a partner in the San Francisco office of Lewis Brisbois and a member of the Insurance Law Practice. Mr. Liberatore has more than 30 years’ experience in litigation, including judicial and private arbitration, mediation, trial, and appeal, in both state and federal courts. He regularly defends clients against claims concerning bad faith, first party property, construction defects, and medical malpractice. Mr. Liberatore also handles litigation related to the automotive industry. This work includes handling pretrial aspects (depositions, law and motion, settlements, motions in limine, and pretrial filings) and post-trial work (fee motion oppositions) in cases under the Song-Beverly Act, and representing auto dealers in undisclosed damages litigation. He has general experience in the defense of litigation alleging defective products, and in auto claims and litigation, including the personal injury and insurance coverage aspects of those matters.